Our 2nd grade class, along with our 5th grade “Warrior Buddies” created the artwork to make this music video about the sun. 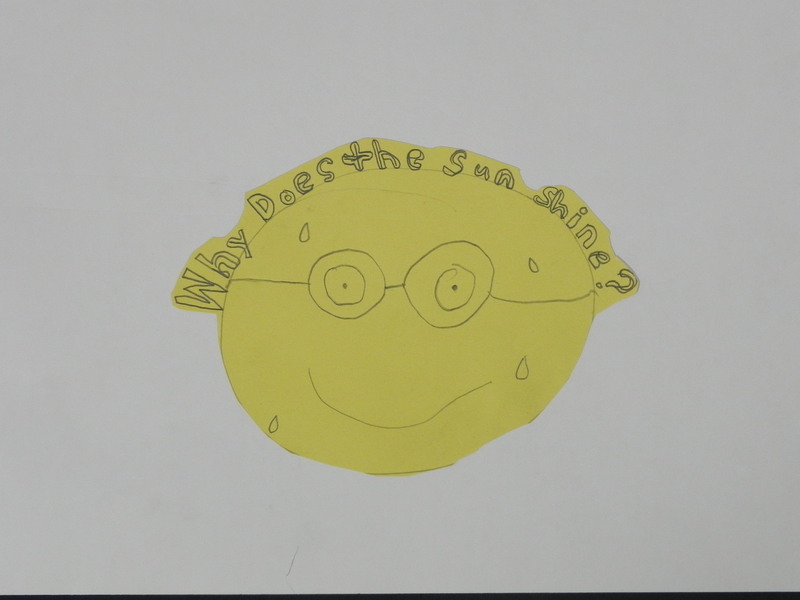 The students learned about the sun, and then made the art for this video to show off their knowledge. We introduced the song to the students and gave them each a section of lyrics to “illustrate”. The rest was up to them. Some chose simple pictures, some chose to make “animation” in their portion of the video. When the artwork was done, I then captured the images with a digital camera. I edited the video using Windows Live Movie Maker. The song is called “Why Does the Sun Shine?” and it was recorded by a band called They Might Be Giants.